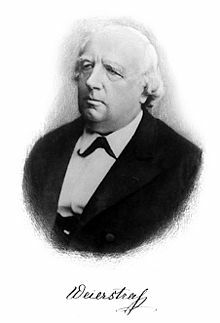 Karl Weierstrass (1815 – 1897) was the mathematician who (finally) formalized the definition of continuity. In that definition was the definition of limit. So, which came first – continuity or limit? The ideas and situations that required continuity could only be formalized with the concept of limit. So, looking at functions that are and are not continuous helps us understand what limits are and why we need them. In the ideal world I mentioned last week, students would have plenty of work with continuous and not continuous functions. The vocabulary and notation, if not the formal definitions, would be used as early as possible. Then when students got to calculus, they would know the ideas and be ready to formalize the. Using the definition of continuity to show that a function is or is not continuous at a point is a common question of the AP exams. Continuity The definition of continuity. Continuity Should continuity come before limits? How to Tell Your Asymptote from a Hole in the Graph From the technology series. Showing holes and asymptotes on a graphing calculator. Fun with Continuity Defined everywhere and continuous nowhere. Continuous only at a single point. The historical notes in Bourbaki – Functions of a Real Variable – Elementary Theory p. 156 state that Cauchy and Bolzano correctly defined continuous functions. Bourbaki references an 1823 publication of Cauchy’s lectures. Bourbaki also states that Bolzano about the same time had the correct definition. As for the definition of the limit Bourbaki gives a 1768 publication by D’Alembert as containing the correct definition.